How to calculate CPP (nursing): Let’s talk about how to calculate a cerebral perfusion pressure (CPP) and then practice some CPP calculation problems! What is cerebral perfusion pressure (CPP)? 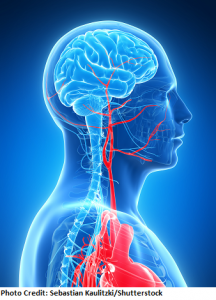 It’s the pressure required to move sufficient amounts of blood to the brain (cerebral blood flow), which maintains life and prevents brain ischemia. We talked a lot about cerebral perfusion pressure when we reviewed increased intracranial pressure, so if you want an in depth discussion about it check out that article. First, we need to figure out the MAP (mean arterial pressure)…this is the pressure within a patient’s arteries during one cardiac cycle. It is normal….<60 mmHg: brain is not being perfused and as the MAP starts to equal the ICP the CPP will fall. 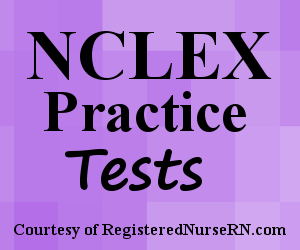 This quiz will test your knowledge on how to calculate CPP in nursing. 1. A patient’s blood pressure is 152/96 and ICP is 20. What is the patient’s cerebral perfusion pressure? The answer is C: 95 mmHg. The MAP is 115. When you calculate the equation: CPP= 115-20, you get 95 mmHg as the CPP. 2. A patient’s mean arterial pressure is 82 and ICP is 15. What is the patient’s cerebral perfusion pressure? The answer is A: 67 mmHg. The MAP is 82. When you calculate the equation: CPP= 82-15, you get 67 mmHg as the CPP. 3. A patient’s blood pressure is 110/74 and ICP is 8. What is the patient’s cerebral perfusion pressure? The answer is D: 78 mmHg. The MAP is 86. When you calculate the equation: CPP= 86-8, you get 78 mmHg as the CPP. 4. A patient’s blood pressure 92/56 and ICP 6. What is the patient’s cerebral perfusion pressure and how do you interpret this finding? The answer is C: 62 mmHg, normal. The MAP is 68. When you calculate the equation: CPP=68-6, you get 62 mmHg as the CPP. Remember a normal CPP is 60-100 mmHg. 5. A patient’s blood pressure is 80/42 and ICP 22. What is the patient’s cerebral perfusion pressure and how do you interpret this finding? The answer is A: 33 mmHg, low. The MAP is 55. When you calculate the equation: CPP=55-22, you get 33 mmHg as the CPP. Remember a normal CPP is 60-100 mmHg.